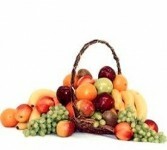 Gift baskets of luscious fresh fruits are always in style and are appropriate for almost any occasion, anytime of year! Please call our shop direct to personalize and to place an order for this product. Fruit baskets will be wrapped in celophane for delivery. Baskets may or may not have a handle. Flowers convey a message that cannot be put into words. 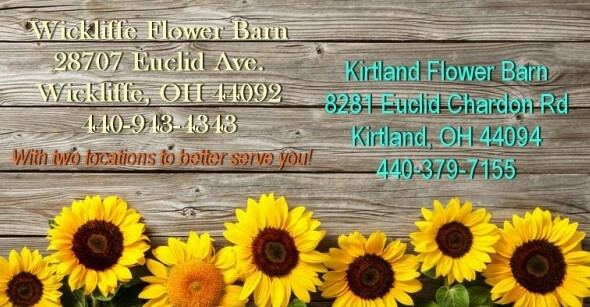 WICKLIFFE FLOWER BARN of Wickliffe, OH provides a variety of fresh, fashionable floral designs to ensure that your gift is one of elegance and beauty. When you're looking for a unique hostess gift, token of appreciation or just a surprise to brighten someone's day, let WICKLIFFE FLOWER BARN customize and deliver one of our many fun, decorative & luxury gifts! We create dazzling presentations that are sure to please for any gift-giving occasion. To get your custom gift items, come by and see WICKLIFFE FLOWER BARN - your local Wickliffe, OH florist.